We live 5 miles from the square in Marietta, yet we never think to come here for dinner. Over the past few years the square has undergone a major restoration and great efforts have gone into making it a fun destination. We have lunched here as part of a bike ride on many occasions, but tonight we will eat a progressive dinner, Marietta Square style! We are fortunate to get a primo parking space right near (the famous) Shillings on the Square. 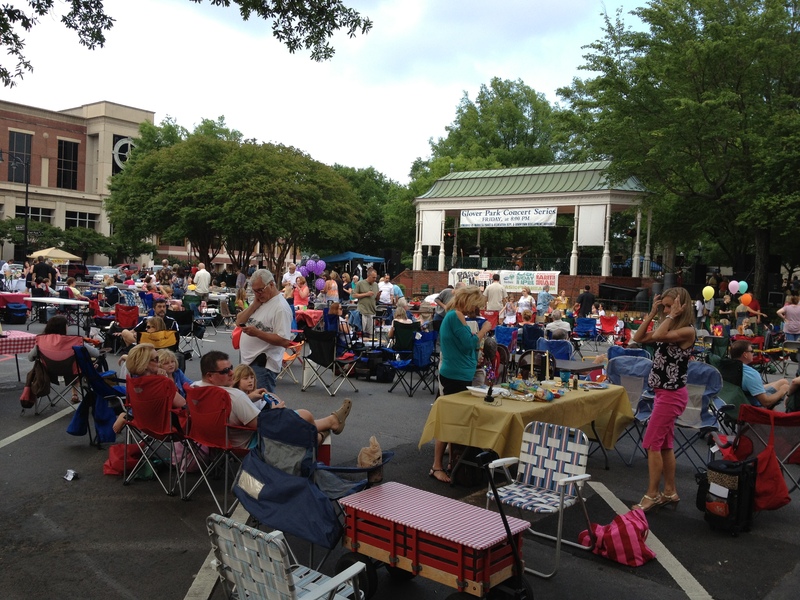 It does not take long for us to learn that there is a Friday night concert series, and the place is hopping! Most of the people gathering for the performance have come with a picnic dinner, so they won’t be the cause of excessive waits at eating establishments. McCracken's is housed in the building that was Marietta's first fire station. 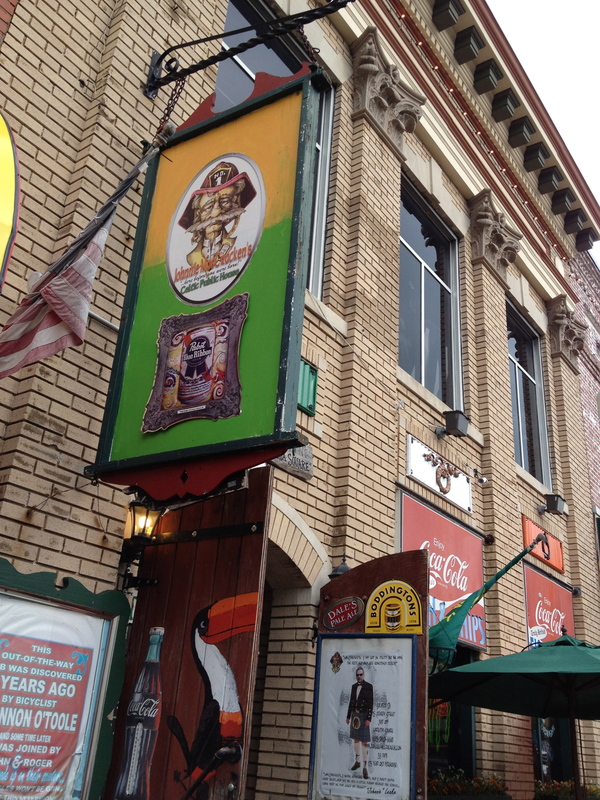 Our first stop is McCracken’s Irish Pub. It’s practically empty, and there is a separate NO smoking wing – so we totally luck out on 2 counts. We do strike out on the posted happy hour. Monday-Saturday, 1PM-5PM, a great deal! 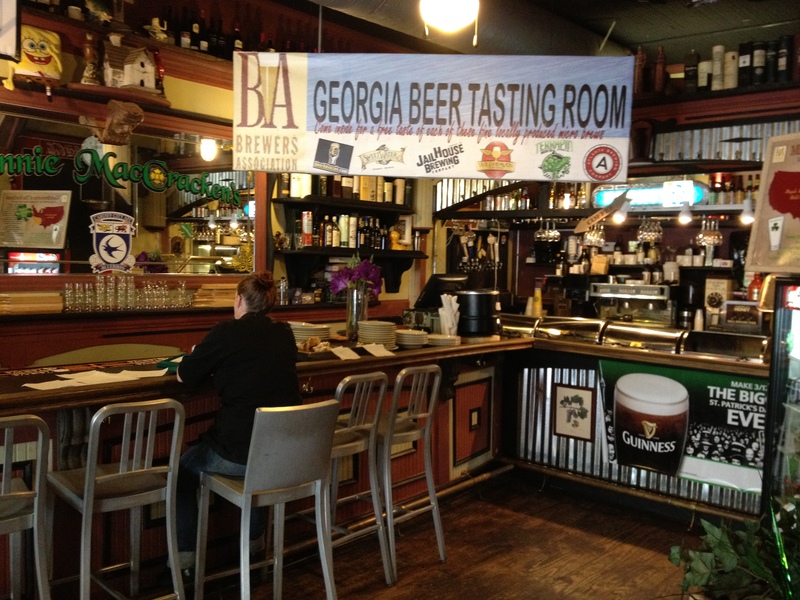 We have missed, by 15 minutes, the chance to pay 10 dollars for the local beer tasting room which would have allowed us to sample 3 beers of our choice – and keep the glass. Roger is disappointed and tries to sweet talk his way into this deal, but it is not to be (he didn’t need 3 beers anyway). I choose the Lazy Magnolia Southern Pecan. A little research tells us that it is brewed in Mississippi and actually made with pecans. Roger chooses the Bell’s Special double cream stout. 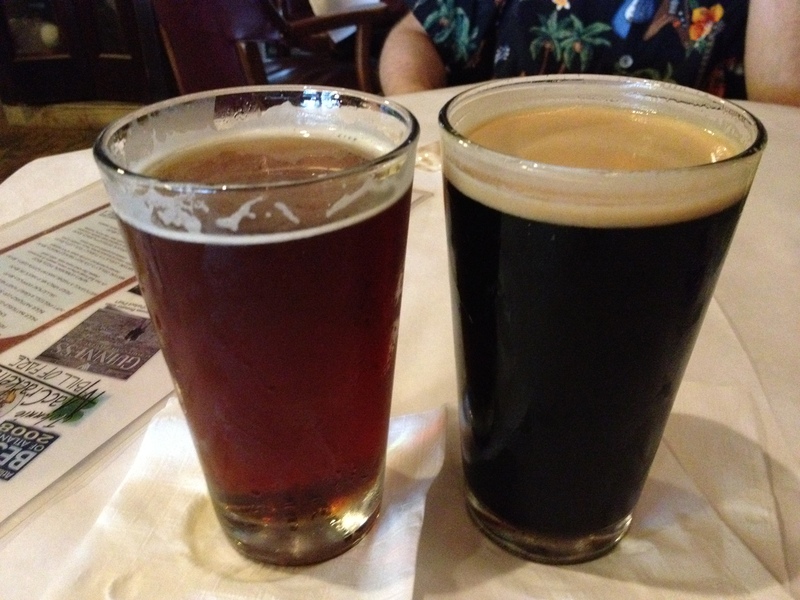 Not local, or regional – but sometimes you just feel like a stout and it was the only domestic one on the beer menu. And speaking of the beer menu, there is a chalkboard with all of the beers and a menu with more beer, but the waitress brought us a handwritten order ticket with the beers they really had. Talk about confusion. We think they could simplify things a bit. Achtung, baby! 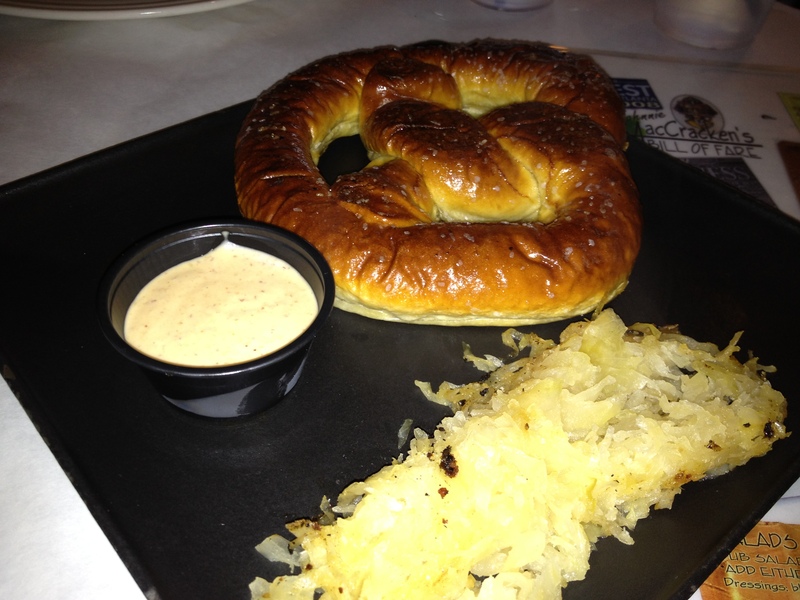 Pretzels and kraut. We have often talked about searching for the “best” burger, but instead it feels like we are in search of the best soft pretzels because we ALWAYS order them when available. No exception here! These come with the traditional mustard and sauerkraut. We spend a leisurely time enjoying the beer and pretzel and looking forward to our next stop. We have already decided that the main course will be at Willie Rae’s, which specializes in Cajun with a southwestern flair. Evidently, we are not the only ones doing Date Night tonight. We walk back across the square, where more people are gathering for the 8pm concert. Whittaker Street is closed off and turned into a pedestrian walkway. Folks are setting their own tables (much like they do at Chastain), some complete with candelabras. Although there is a big crowd, and our restaurant of choice is on the small side, we are seated without any wait. The service is surprisingly good and Jessica could not have been any sweeter. Her grammar could have been much better: “Are y’all ready to make y’all’s order?”, but ultimately she was helpful and charming! We do like to share, and tonight is no exception! 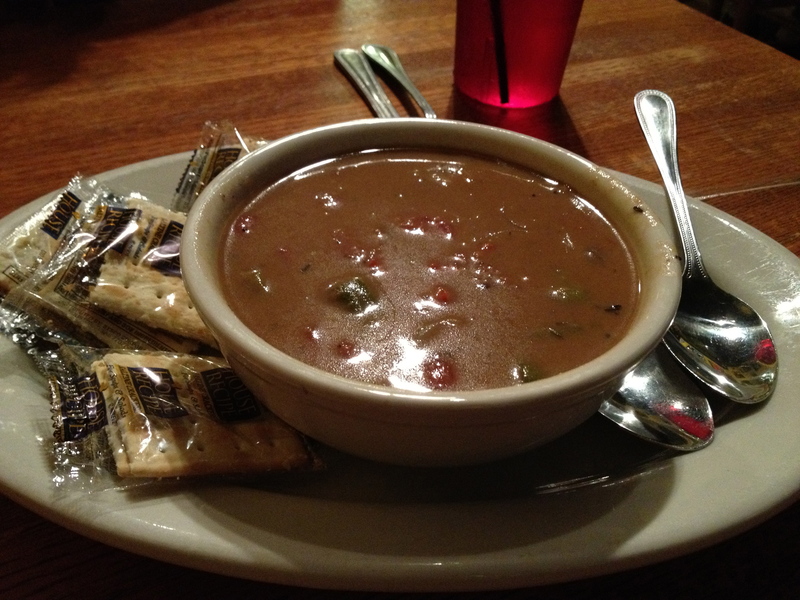 It’s a cajun place, so we start with a bowl of gumbo. It’s nicely spiced, but I wouldn’t exactly say it was chock full of shrimp or sausage. Gumbo could have used more shrimp and sausage. 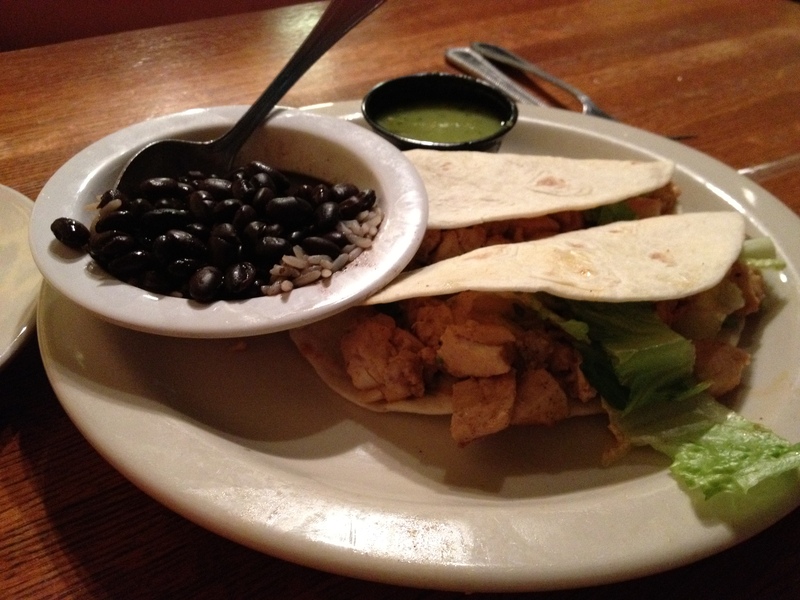 In order to get our southwestern flair, we also order the blackened swordfish tacos. Blackened swordfish tacos had a kick. Lots of beautifully prepared fish chunks, slaw and a spicy sauce. Two tacos are the perfect amount for us and a major YUM. 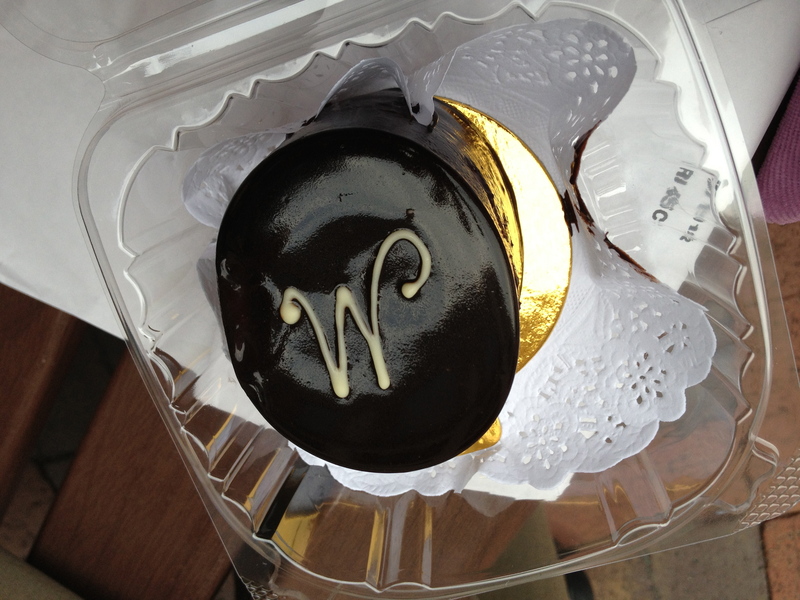 We skip dessert at Willie Rae’s and hop three doors over to Sugar Cakes Patisserie, a French-style bakery. 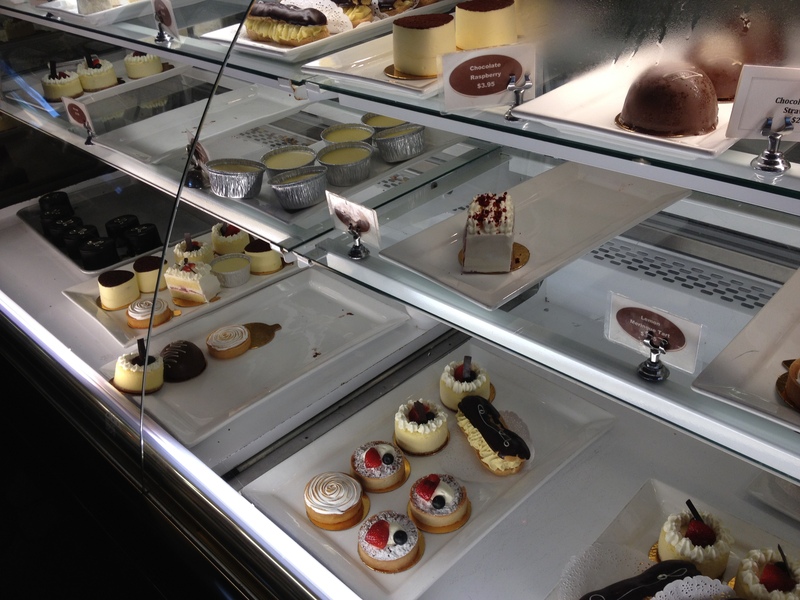 Don't skip dessert when you can go here. 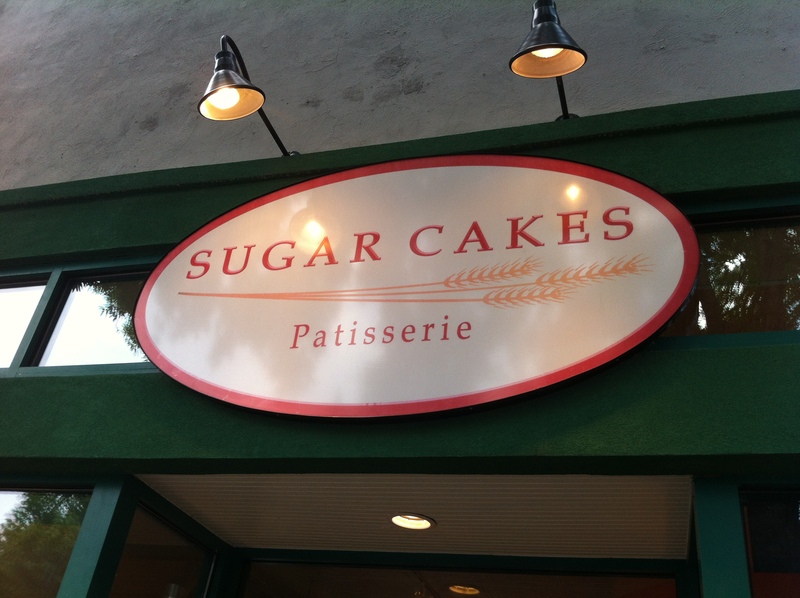 Sugar Cakes is serving a dinner menu and is quite crowded. We gaze longingly at everything in the case. Because of the crowds and the later hour, many things are gone from earlier in the day. It looked a lot better in person! As you can imagine, it’s very hard to choose. We get the Mirage, which is the “le specialite d’la maison”. Even with my bad French, you can see that this is a beautiful dessert. We are too busy drooling to take a picture of the inside, but the Mirage is chocolate with a creme brûlée filling and a hazelnut cookie crumble. Once again, we may have saved the best for last. We leave the square just before the concert starts, making someone very happy because they get our parking spot as we depart.